Weather over here is so so hot ,atleast for us and not able to withstand esp, after 12 to 5 p.m. very horrible and am literally taking 10 times a bath daily and drinking as much juice as I can. Seriously, I don feel the urge to take shots of those yummy coolers /drinks since am feeling that much exhausted and thirsty.. The drink am posting now is taken long back when the summer was at it's peak in US.. 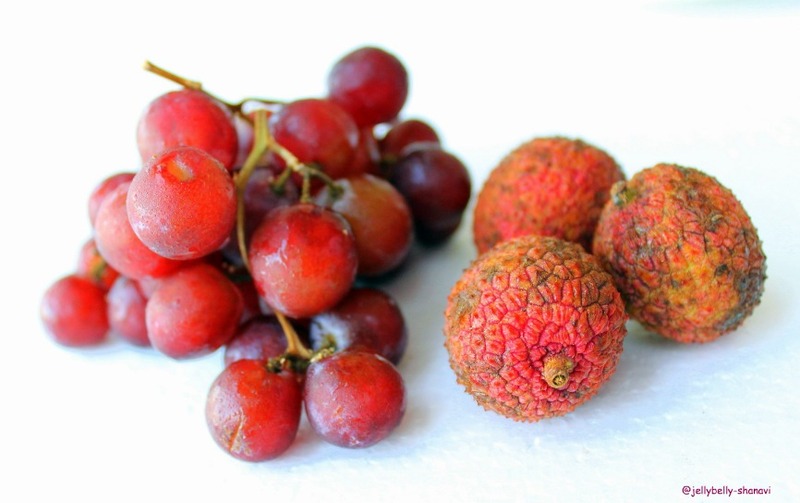 I just loved the combo and the flavour of lychee infused with grape juice was just awesome..
Chop the lychee to bite size / tiny pieces, acc to ur preference and mix it with grape juice . Add the sugar /honey,corn syrup and mix thoroughly. Serve with some ice cubes on top and serve chill..
good combo...i like lychee very much...refreshing drink! Lovely combo!! Looks soo refreshing! 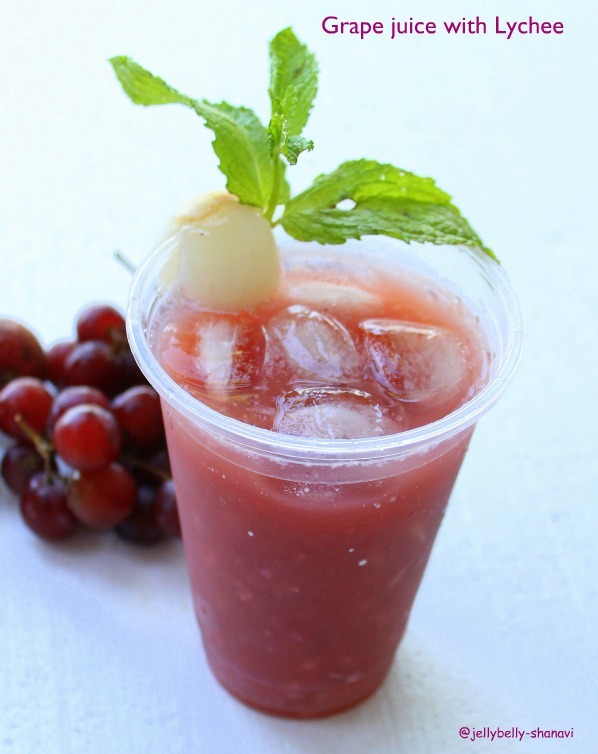 grape and lychee sounds like a superb combination...very refreshing indeed!! Looks so refreshing, nice pictures. An innovative & refreshing combo!!!! Both are my fav fruits..
wow wonderful ans refreshing drink dear,yummy!!! Exotic n so refreshing it looks ~ gorgeous shots! looks absolutely inviting and super tempting..
OMG .. so luscious and tasty. Love the pictures. nice combo dear..looks so refreshing..
so refreshing nd lovely drink..
Really a refreshing drink!! Combo worked out well. 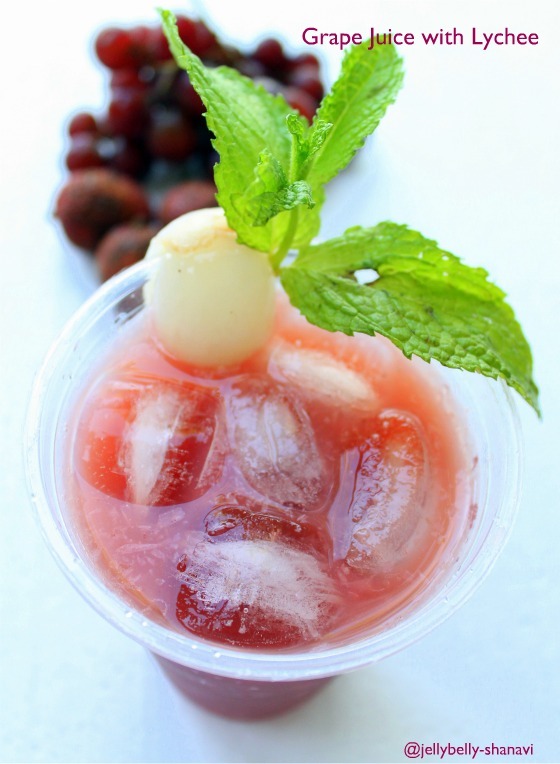 Luks really refreshing Combo.Will luv to try soon.Luv ur recipes here and happy to follow U. First time here. 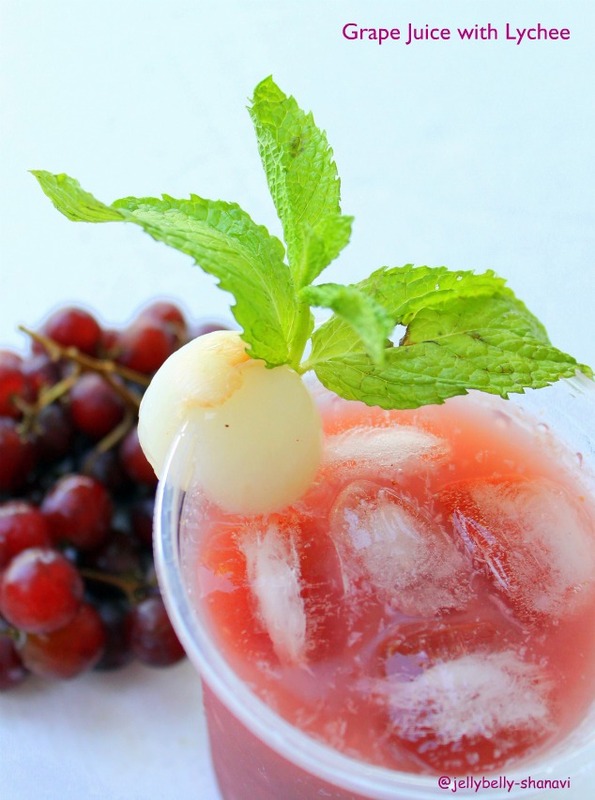 Lovely combo of lychee and grape. Loved ur recipes. I'll be back. Awesome combo! I am sure both makes a wonderful medley! looks sooo refreshing; hey shanvi where have u disappeared ?? ?